NJ: Rutgers cornerback Darian Dailey and a co-defendant, Trazelle Johnson, stole $20 in an armed robbery early Sunday morning, according to the arrest warrant filed by the Sarasota (Fla.) County Sheriff’s Office. Dailey, who was driving a black Dodge registered to his mother, and Johnson, the passenger, stopped the car directly in front of an 18-year-old who was riding his bicycle home from work just before 2 a.m. on Sunday, according to the warrant. Police said Johnson got out of the car with his face covered by a cloth and pointed what appeared to be a black semi-automatic handgun at the victim and asked, “What you got?” After the victim said he had $20, Johnson said, “Hand it over,” according to the warrant. Dailey, 19, stood behind Johnson, 19, near the rear of vehicle during the exchange. Dailey and Johnson then got back into the car and drove away, according to the warrant. 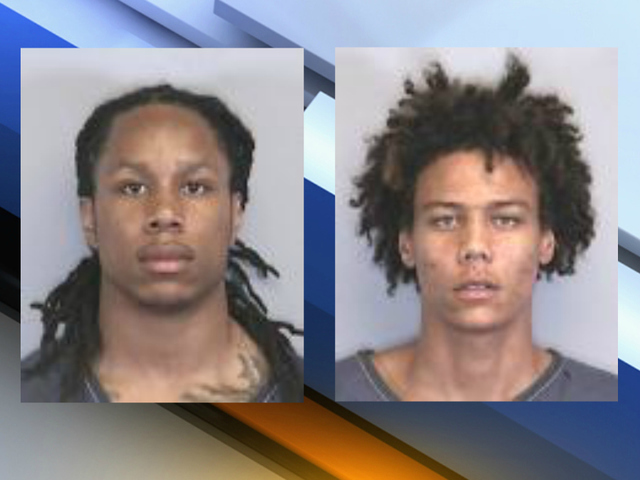 Dailey and Johnson were both arrested and charged with robbery with a firearm. Pockets ain’t empty, cuz! That’s what the offseason is all about: voluntary workouts and armed robberies. It’s not all about football for these kids. Not at a school that can’t put a winning team on the field. I’m not blaming anyone in particular, but if Rutgers was any good, these kids would take football way more seriously. Their offseason routines would be substantially different, and I have a hunch that OTA’s would be priority over armed robberies. Summer vacation late nights would consist of lifting heavy weights and watching film, not robbing people at gunpoint. And I’ll do you one better. If Rutgers was better at football, their players would be better at armed robbery. Twenty dollars? It’s so Rutgers it hurts. PS – Great hair on Dailey’s pal. Looks like the kid from Holes.